The maturity of talent management rests on effective leadership, best practices and state-of-the-art systems. But with changing demands in talent markets, how can HR leaders determine and develop the right mix of strategies for talent attraction, engagement, development and retention? Talent Management Asia 2016 is a two-day conference held in Hong Kong, Kuala Lumpur and Singapore in March 2016. The annual event is attended by regional HR leaders and senior HR specialists from the biggest employers in Asia. “Talent management is a dance between employee engagement and business strategy, and HR professionals should not only learn the steps but execute everything in harmony to make an impact,” said Aditi Sharma Kalra, regional editor of Human Resources magazine. Known for his expertise in talent acquisition, Edward Wong manages operational recruitment, employer branding projects, ATS implementation & enhancement, and talent pool strategy & execution at Adidas Group as the company’s regional talent acquisition lead for Asia Pacific. Before taking on recruitment responsibilities at Adidas, Wong performed different in-house and external talent acquisition and HR roles in leading organisations. He holds a Bachelor of Arts from CUHK and is fluent in English, Cantonese and Mandarin. June Beh’s journey at Starbucks began in 2005 as partner resources manager. Today, she is the coffee giant’s director of partner resources & compliance in Malaysia & Brunei, overseeing human resources activities, learning & development, talent development, safety & security services, and quality assurance. Her core belief is that people are the strength of any business and empowering them will lead to the growth of businesses. Beh holds a degree in Bachelor of Arts in Business Administration from Ottawa University and a Diploma in Human Resources Management from MIHRM in 2003. Sureash Kumar’s 23 years of work experience in human resources made him an expert in learning & development and organisation development. As the current director for corporate talent & organisation development at UTAC Holdings Limited, Kumar facilitates leadership development solutions, performance management system, engagement survey and succession planning process. Prior to joining UTAC, Kumar became Barco Visual’s head of talent & organisation development for APAC region and held positions in various MNC’s such as Goodyear and Citibank as HR generalist and head of OD function. 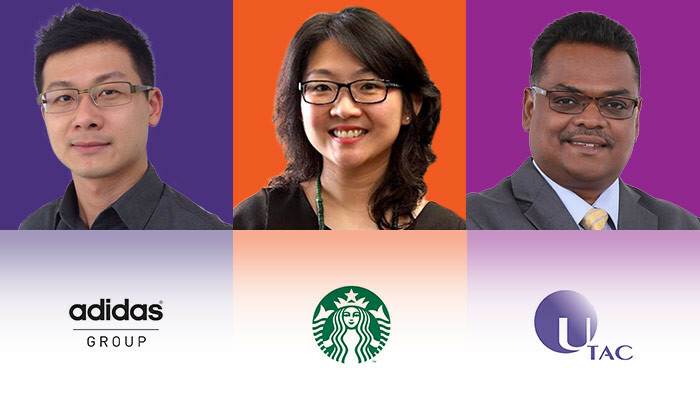 The list of companies participating in the Talent Management Asia 2016 agenda is continuously growing, and among the top ones are Coca-Cola, Essilor, HCL Technologies, Mitsubishi and Schneider Electric. All presenters & panellists, such as Angeline Oh, Group Talent Management and Development vice president at SingTel, are director or vice president level HR professionals with regional responsibility. To be held in Hong Kong, Kuala Lumpur and Singapore and in March 2016, Talent Management Asia is Asia’s biggest conference on talent management and human capital strategy. To get a global and Pan-Asian regional view of talent management and to increase your knowledge and skills across the human resource management spectrum don’t miss Talent Management Asia in March 2016. To review the topics & agenda, check out the stellar speaker list and reserve your seat, visit www.talentmanagement.asia . Spanning 16,000 sq ft and inspired by Ariake's UNIQLO City, this office space is designed with flexibility to allow for expansion ..